Vintage tremolo meets modern innovation. Fulltone Supa-Trem Model ST-1, one of the finest amp-style Tremolo pedals on the market since its debut in 1996, just got a whole lot better. It's now also an incredible sounding clean boost! According to his "gear list", Robertson uses the Fulltone ST-1 Supa Trem tremolo pedal. At 29:51 of this "Rig Rundown" with *Premier Guitar*, Mike Hickey, Joe Bonamassa's tech, points out the Fulltone Supa-Trem pedal. 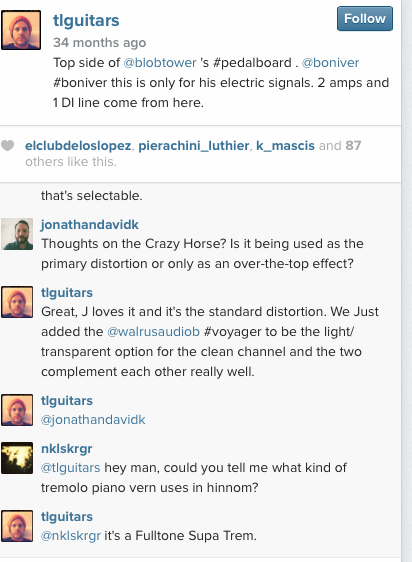 Todd mentions in the comments of [this Instagram post](https://instagram.com/p/LnvFFjtBCo/?modal=true) that a Fulltone Supa Trem pedal is used by Justin on the piano track in the song Hinnom, TX. As shown in [this](http://www.premierguitar.com/articles/Rig_Rundown_Aerosmiths_Joe_Perry_and_Brad_Whitford) Premier Guitar rig diagram, Brad Whitford uses a Fulltone Supa-Trem. Youcan see the Supatrem on this picture. Posted on the [Strymon website](http://www.strymon.net/tag/brynjar-leifsson/), the Supa-Trem can be seen just behind the first two Strymon pedals. 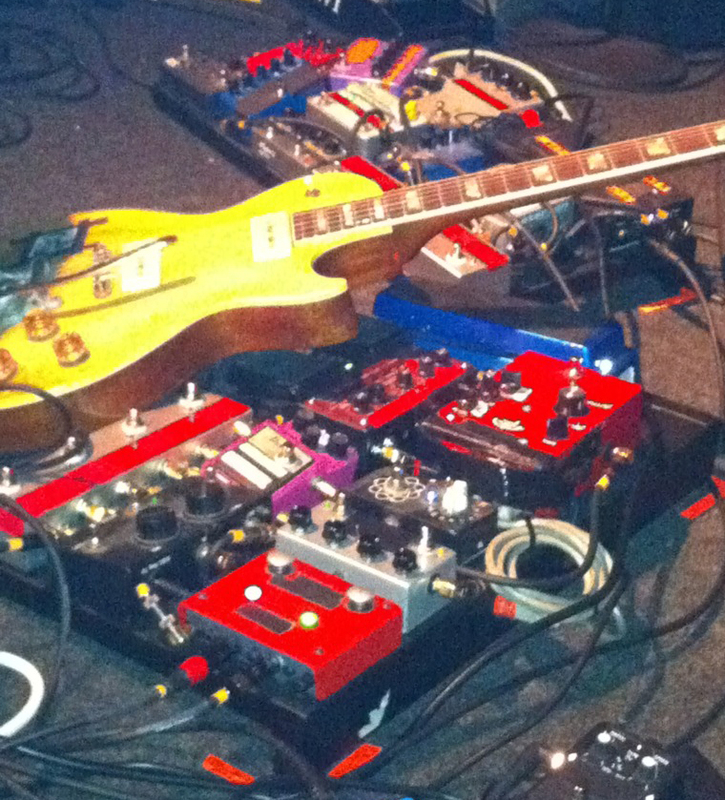 In this photo, the Fulltone Supa-Trem ST-1 is visible in Mats Bjorke's pedalboard. 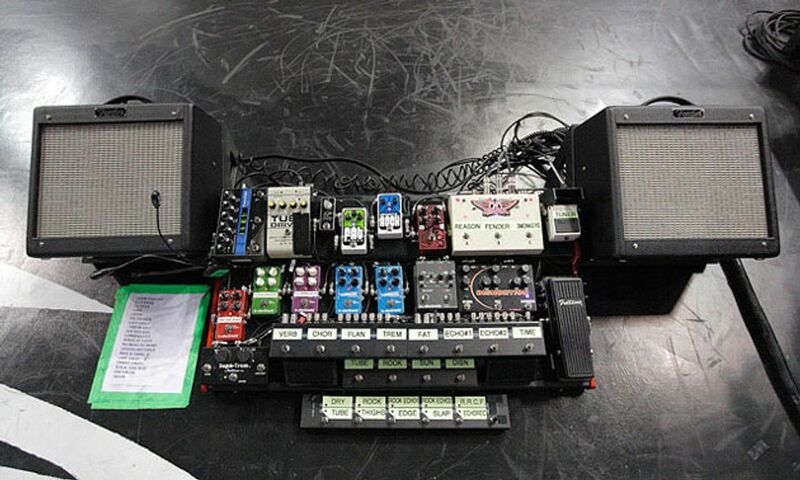 In this photo of Dom's pedalboard, the Fulltone Supa-Trem pedal can be seen. At 14:40 you can see a Fulltone Sup-Trem on David's pedalboard on the bottom row. 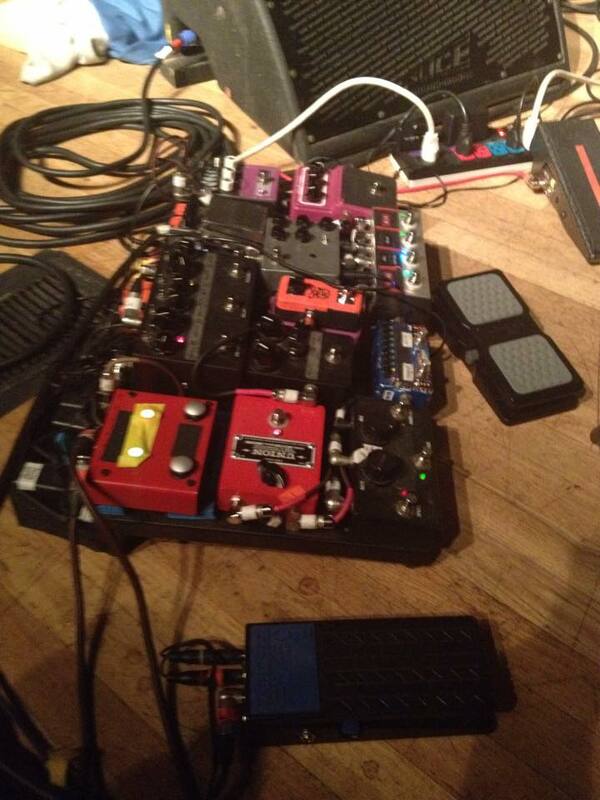 It can be seen in his pedalboard on top left corner, above the Memory Man. In this photo posted by Scheuchzer on his Instagram profile, one of the pedals in the pedalboard is the Fulltone Supa-Trem ST-1 tremolo pedal. On minute 16.30 Hince shows his ST-1. The Fulltone ST-1 is Farina's go to tremolo effect on this board. A Fulltone Supa-Trem can be seen on Jason Wade's pedalboard, at 0:29 in this video. A Fulltone Supa-Trem can be seen on Jonathan's board at 2:28 on this video. In this photo a Fulltone Supa-Trem can be seen on Taylor's board. Jesse uses the Fultone Supa Trem. in this image , Fulltone Supa-Trem ST-1 Tremolo Pedal can be seen. According to Royal Thunder's interview with Guitar World, Josh uses a Fulltone Supa-Trem. 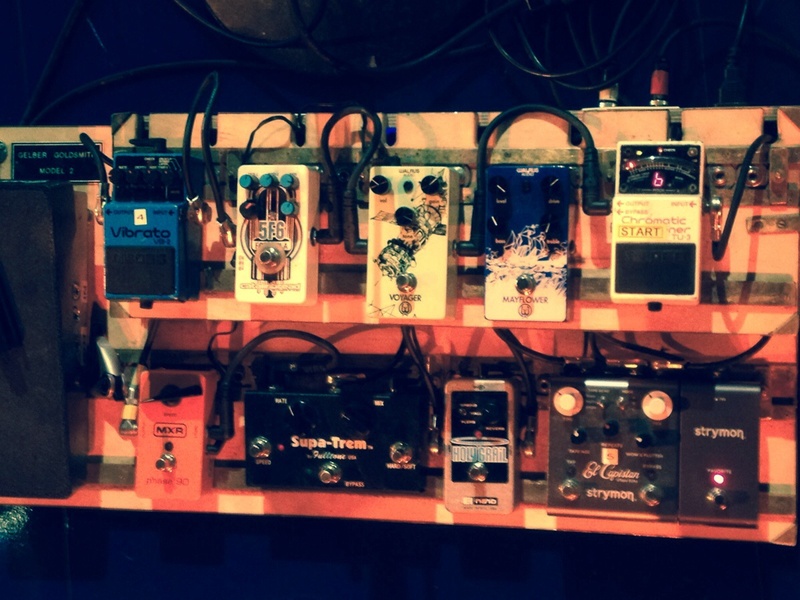 Mr. Nick Bockrath uses the Fulltone Supa-Trem Pedal on his pedalboard. In this video Andy Othling shows his rig including a Fulltone SupaTrem. "From there, I go into the [Fulltone] Supa-Trem." He speaks about it on this website. This short guitar interview was done on the behalf of Equipboard in 2017. Mr. Marshall Crenshaw kindly provided us with the quotes and photos of the gear he was using. In his modest pedalboard, we can see his Fulltone ST-1 Supa Trem pedal. According to Maxon's website, Ambel uses the Fulltone Supa Trem ST-1 Tremolo Pedal. > Last is a Fulltone Supa-Trem which has a sweet amp like pulse. The half speed switch gets a lot of use. "That’s my reissue Gibson SG through a Fulltone Supa-Trem, which is set on a hard and fast, Brit-style tremolo through my Divided By 13 9/15 head. That amp is switchable between 15 watts in the EL84-based mode or 9 watts in 6V6 mode." The black pedal at the bottom right of the pic. The logo has been covered. Black pedal with two large knobs next to the Ibanez delay. For years people have been turning the ST-1's Mix knob down all the way, opening the pedal, and turning up its internal volume control to maximum, and using the Supa-Trem as a very subtle clean boost. Now Fulltone added a low-profile Volume knob on the outside of the pedal, and increased its available gain to around 15dB... allowing the ST-1 to pull double duty as a stellar clean boost. One reason the Supa-Trem sounds so good is that it uses a wonderful Analog Devices JFET AD711JN at the heart of its circuit, giving you a warm yet clear tone when your pedal is turned on. The ST-1 also employs a custom-designed Fulltone Opto-1 photocell with an extremely fast recovery time which no other manufacturer can match. This makes it behave just like an old 1960's American tube-amp, but without the annoying ticking sounds that plague amps and other tremolo pedals. The Supa-Trem is the most versatile tremolo on the market, sporting True-Bypass with Blue On/Off L.E.D. and a Red Rate L.E.D. showing your speed at all times (even when pedal is Off) so you can drop right into the song at the correct tempo. With the ST-1's large Rate and Mix knobs you can fine-tune on-the-fly with your foot. The Speed footswitch correctly halves or doubles your tempo so you stay rhythmically-correct with the tempo of the song you're playing! Finally, there's a Hard/Soft footswitch for choosing between Soft Mode (a rollicking sine-wave) or Hard Mode, which is more of a square-wave machine-gun stutter. There's an internal trimmer to fine-tune the current reaching the Photocell to change feel of the waveform, although we recommend leaving it where we set it so you have the ability to turn down the Mix control and not hear any tremolo when using as a clean boost. This is the most versatile Tremolo pedal I've ever tried. You can adjust every single parameter you can imagine, and even use it as a booster. The big knobs are intendend to modify settings on-the-fly with your foot. Nice, if chunky, device. Can do slow & subtle, and fast & aggressive volume changes. Personally prefer it slower ... tend to leave it left on, but great to have the options on tap. Mix and volume knobs are essential, and I believe there's an internal pot to adjust boost / gain ... never found the need to investigate and alter that though. This thing is great. If you keep it on but run it dry it adds a slight high end boost to your signal which is tight! Just bummed it didnt come with those awesome black knobs. Came with smaller ones. As close to on-board trem tone as it gets. Love the pre-amp's sound so I leave it on all the time. Great options for 2 speeds, and will last forever. really don't need much more than this for tremolo. hard/soft and speed switches are all I needed.